While we have reviewed several graphics cards from AMD’s Radeon HD 6000 series, one of the GPUs in this latest family that we have not benchmarked previously is the Radeon HD 6450. The AMD Radeon HD 6450 is the lowest-end offering in this family, but how’s its performance relative to other low-end AMD and NVIDIA parts? In this review we have a PowerColor Radeon HD 6450 1GB and are seeing how well this graphics card works under Ubuntu Linux. 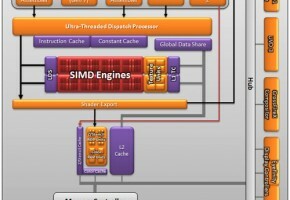 The Radeon HD 6450 (the GPU’s codenamed “Calcos”) has an engine clock between 625~750MHz, 512MB or 1GB of DDR3/GDDR5 memory, 200~240 GFLOPS of single-precision compute power, PCI Express 2.1 x16 interface, 160 Stream processing units, OpenGL 4.1 / DirectX 11 support, AMD Eyefinity support, OpenCL 1.1 compliance, PowerPlay, and other standard Radeon HD 6000 series features. 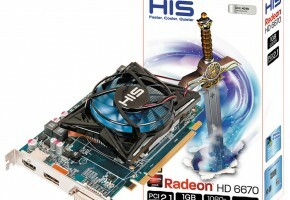 The Radeon HD 6450 graphics card being tested in this review is the PowerColor “Go Green!” AX6450. 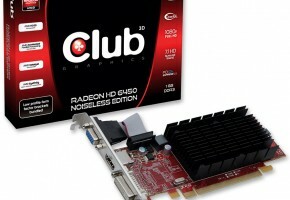 The PowerColor Radeon HD 6450 has a 625MHz core clock and 1GB of DDR3 video memory clocked at 667MHz. 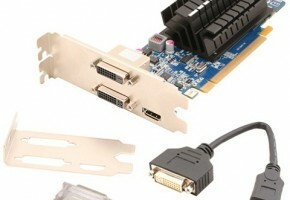 This low-profile card has HDMI, VGA D-Sub, and DVI outputs. The PowerColor Go Green! 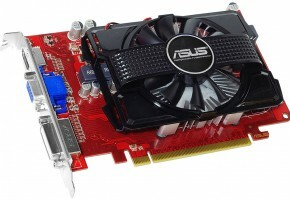 AX6450 is a low-profile graphics card (not all Radeon HD 6450 graphics cards are half-height) with the VGA connector being interfaced by a ribbon cable. Included with the graphics card are two low-profile expansion slots plates if wishing to install the low-end graphics card in a low-profile chassis. Also included is a quick installation guide and a Windows driver CD. Those are all of the accessories with this PowerColor graphics card, but that is really all you need.